The property appears highly presently constructed in light concrete elements with large facade sections from floor to ceiling. Port access for delivery on the side of property. light. 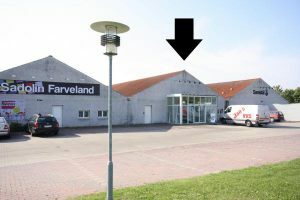 The sales area is regulated with access to warehouse / workshop and staff facilities. 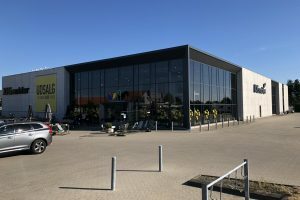 From the large parking area there is an access via customer entrance. 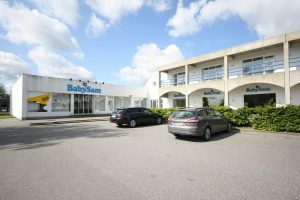 The property is suitable for a car showroom, showroom, space-demanding product groups as well as other commercial trade. Easy access to the E20 motorway. 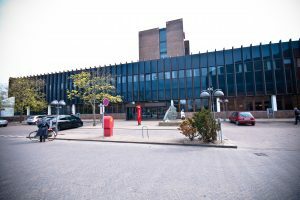 The office is located in the area around Birkemosen. The area is in the good access from the motorway, country road and the city center. Location is furnished with several good meeting rooms, cellular offices and staff facilities. 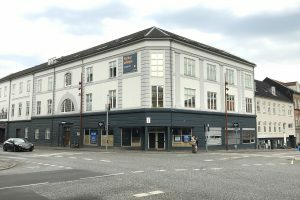 Refurnished studio housing close to both the pedestrian street, the train station and the harbour. 8 students share kitchen and bath. You pay to use the washing machine. All rooms are furnished for one person. 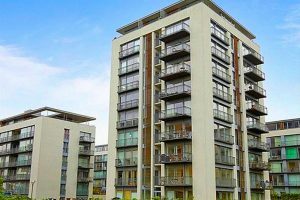 You need to have a valid student card to be a tenant. Attractive rental with great location. 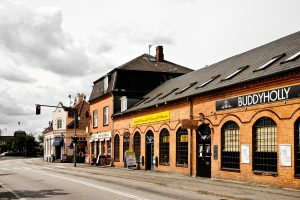 The premises have a central location on one of Vejle’s main streets, close to the railway station. The rental has a wide facade with big windows which provides a fantastic light. 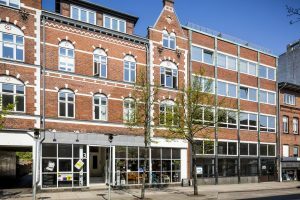 At the same time, the facade is visible from both Dæmningen, Havnegade, and Kirkegade, and is therefore very suitable for businesses that need visibility. There is possibility of establishing the premises as e.g. a shop, restaurant or office with customer and personnel facilities. 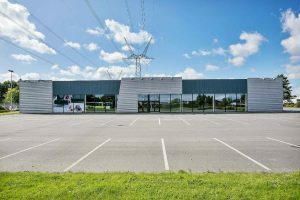 Shop for rent in an attractive area right across from Herning Centre. The highway is nearby and the shop is easily accessible by car. 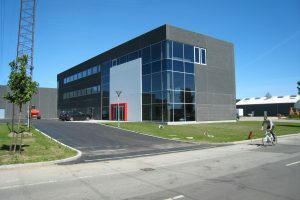 The premises contain a large retail area at 1233 m2 and underneath 600 m2 of personnel facilities, storage space and offices. 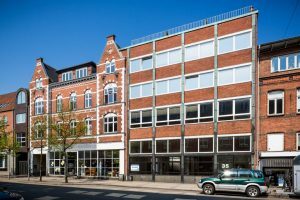 The offices are located in Dannebrogsgade in central Odense. They are in walking distance from the station there is a possibility of acquiring parking spaces as well. App. 1,000 squaremeter retail – also suited for wholesale/trading business, show-room, light prodution or office. 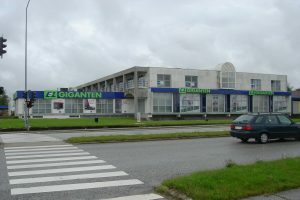 The property is located in the southern part of the city in a typical retail box area not far from the city center. 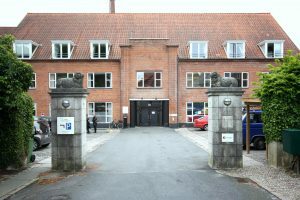 Tenancies situated on the main gateway to Herning just opposite the entrance of Herning Centret. 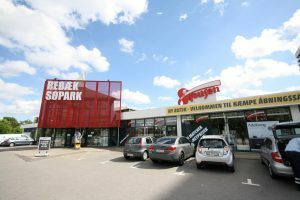 Free parking – shared with the other tenants, Elgiganten, Golf Experten and Petworld – placed right outside til property. 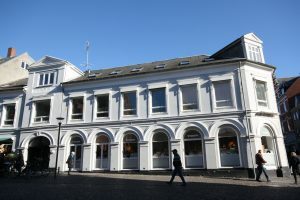 The offices are on the first floor. Admittance by both elevator and staircase. It is possible to change the area split between tenancy no. 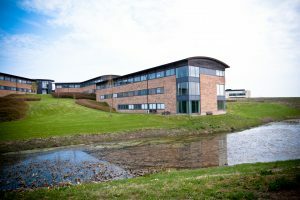 17 and 18 – including merging them into one big office of 410 m². The property is from 1942 and well maintained. The vacancy is on the first floor. 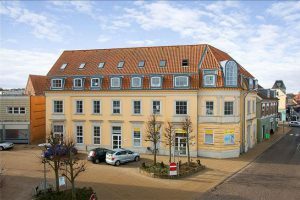 It’s situated in the center of Svendborg close to the pedestrian street, train station, motorway and public parking. Two rooms of which one has good lighting from the green area outside. It has a teakitchen and toilet. The tenancy can be used for office, clinic or education. Light walls, linoleum floor and good ceiling lights. Presentable entrance through shared stairs. The tenancy is located close to the train station on the 1st floor with a private terrace facing the back yard. The office has a high ceiling, sloping walls with Velux windows, white walls and a dark wooden floor. Also new doors and relatively new kitchen and toilet. It’s a combination of one big and several small offices (or meeting rooms). Existing cabling can be taken over, and parking is possible in a locked back yard. The office has two separate rooms with own entrance. Free parking and joint kitchen and toilet facilities. Parking spaces in a locked basement on Islands Brygge. The tenancy is in a good condition. You need to use the stairs to get there. 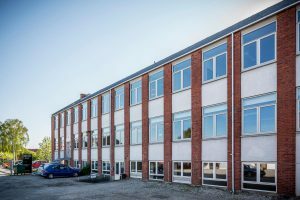 The property is situated in a residential area in the outskirts of Næstved. Good parking facilities available. 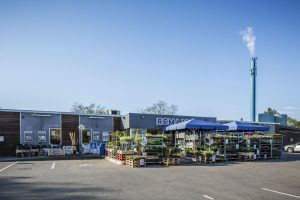 Supermarket REMA1000 and a café are placed on the ground floor. Storage rooms in the basement below Rebæk Søpark, where you have direct access with vehicles. Several has own heating and a toilet. 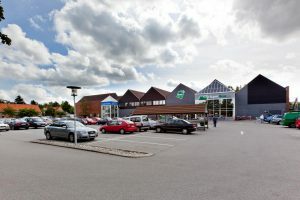 The small shopping center is located between Rødovre and Hvidovre close to The train station in Rødvre. It is close to residential areas. The main tenants are Lidl, Skousen, a local supermarket and a big furniture store.